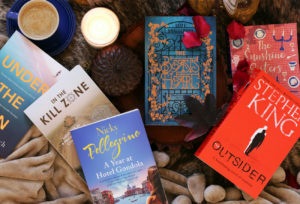 Nothing beats the winter blues quite like cozying up with a delightful book. Either in front of a roaring fireplace (oh yeah), or snuggled under a blanket! Even better, lazying like a lizard outside in the daytime – when our glorious sunshine is that of pure indulgence!